Priced to Sell! This is a great property, move in ready! This Spacious home with 1747 sq.ft. is clean, freshly painted with updated color. Stainless Appliances and Wood Cabinetry in the kitchen bring that urban contemporary feel, nice tile on the diagonal, upgraded tile features in the master bath. New Wood flooring in the Master Bedroom, Den and Guest Bedroom really add to this home. The Den has a closet and can easily be used and converted to a third Bedroom. The oversized Lanai features a serene and private preserve view with a spacious landscaped area in both the back and side of the unit. The location of this home and building sets this unit apart for privacy, space and low traffic. A 2 CAR GARAGE IS AWESOME! 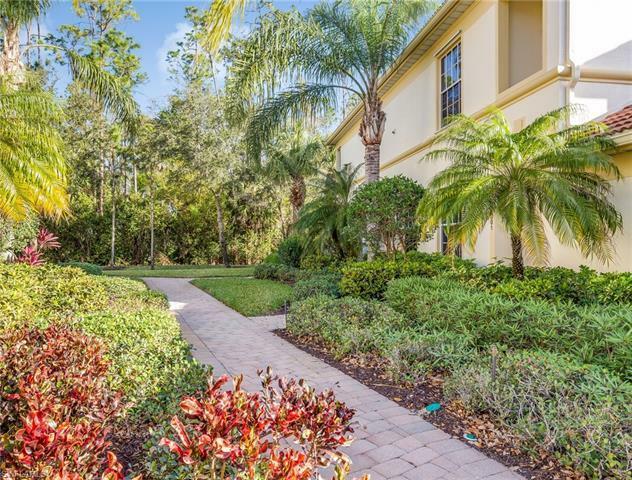 Hawthorne is conveniently and centrally located to beaches, Coconut Point Mall, restaurants, shopping, Miramar Mall, The Airport, Fort Myers and Naples. Hawthorne is an active community with miles of walking paths along wildlife filled lakes. Tennis, 2 community pools, spas and 2 fitness facilities. Social activities, book club, bike club, motorcycle club, cards, games. This community is considered a hidden Jewel. Make Hawthorne your retreat.